I am very excited to share with you something I have been working on this past month with ModCloth, Touring Santa Cruz with It's Not Her, It's Me. 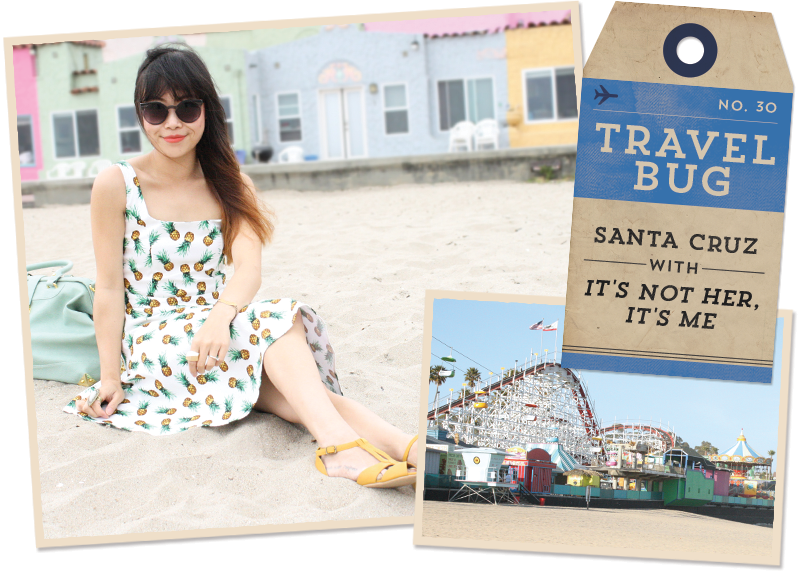 I didn't have to think twice when ModCloth asked me to guest post about Santa Cruz as part of their Travel Bug series. There is much more to Santa Cruz than the Boardwalk and hippies. I have been living in this beach town, located midway between San Francisco and Big Sur, with my fiancé and two cats for three years. A city girl at heart, Santa Cruz is a little quiet for me, but I do enjoy living right next to the ocean where I can picnic on the beach and take strolls along the coast. Hop on over to the ModCloth Blog and take a tour with me! Enjoy!